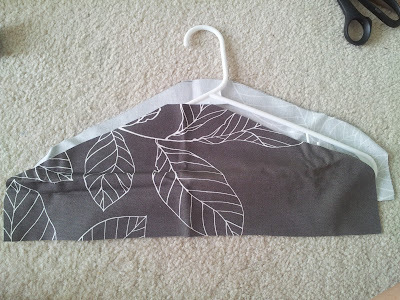 Wheather you are revamping your closet or reorganizing your clothes this hanger slip will definetly help. 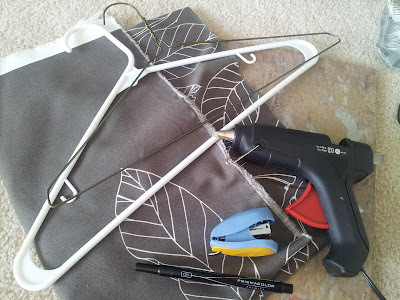 Cost effective: less than a buck to make (on the high end), you can save your ugly wired or plastic hangers from going to the trash and save money from buying new ones. Fuction: I called these hanger slips not only because they just simply slip on top of your old existing hangers but because they keep your tanks and silky tops from slipping off. First, lay your fabric face down on top of your working surface. 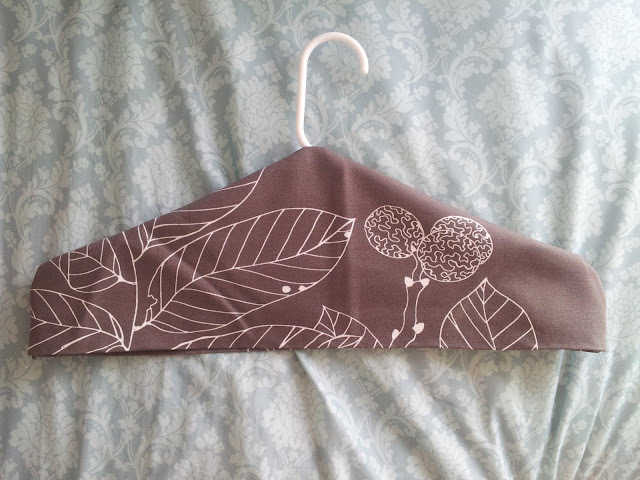 Place your hanger parallel on top ideally five centemeters from the fabric cut. With your pen, trace the shoulder part of the hanger leaving a 2-3cm gap. 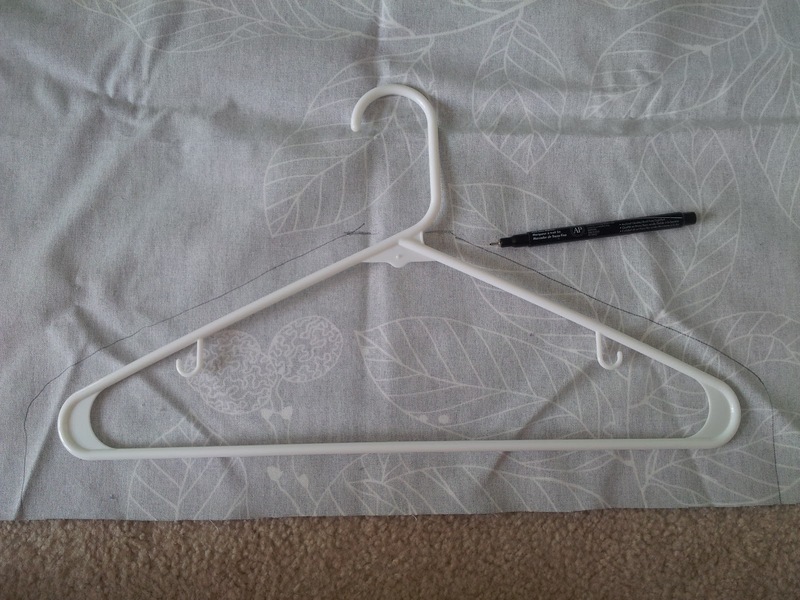 Draw a staight line across the top for the hook. Cut out the shape. 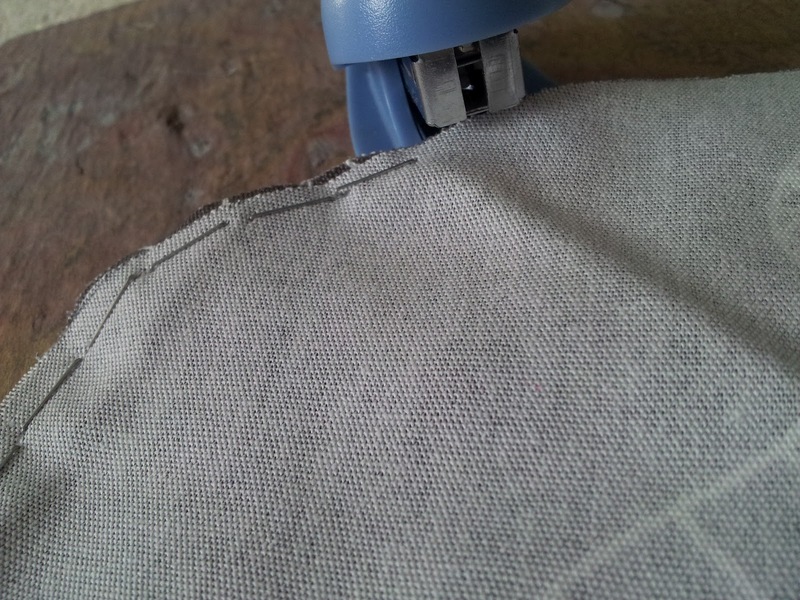 This will be one half of your slip. Use this shape as a stencil for your other half. Trace around it on your fabric and cut it out. You should have two identical shapes now. 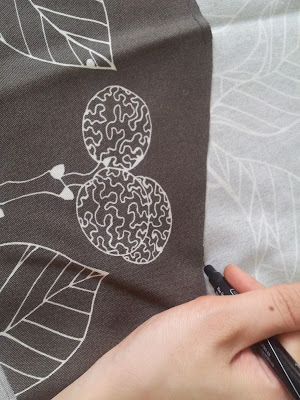 Don't worry if your shapes are not completely the same as this will not be noticable in the finished product. Since the hanger slip will be open on the bottom the fabric needs to be folded over to hide the raw cut. Do this using a glue gun folding approximetly half to one centemeter to the inner part of the fabric. 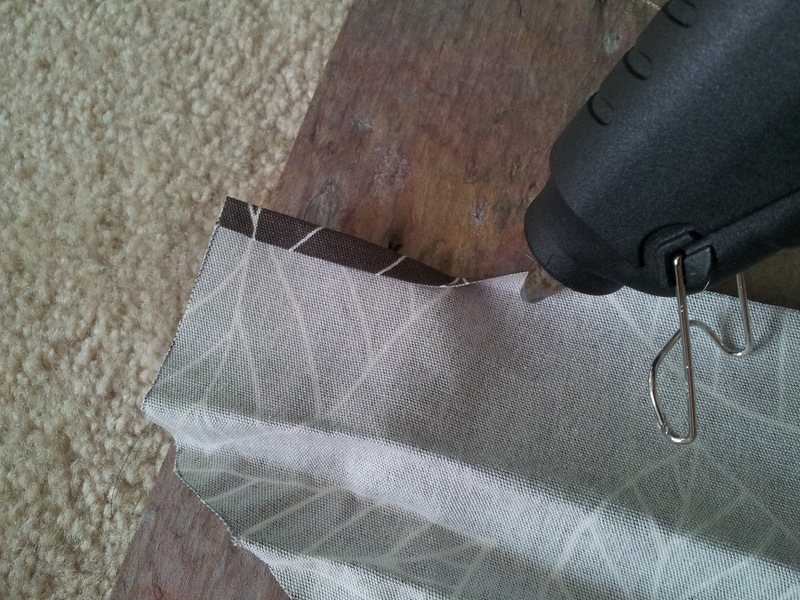 Your cut out should look like this. 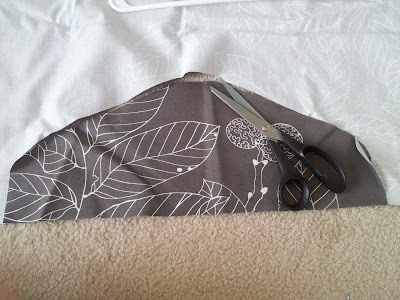 Repeat this step to your second cut out. 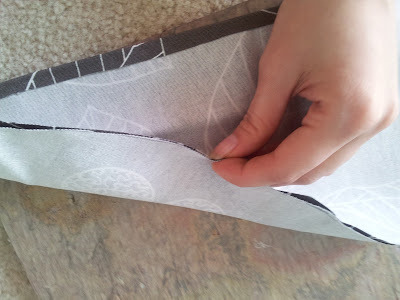 Place both your pieces together﻿ so that the reverse side of the fabrics are both facing out and the print is facing in. Make sure to align the edges as closely as possible. 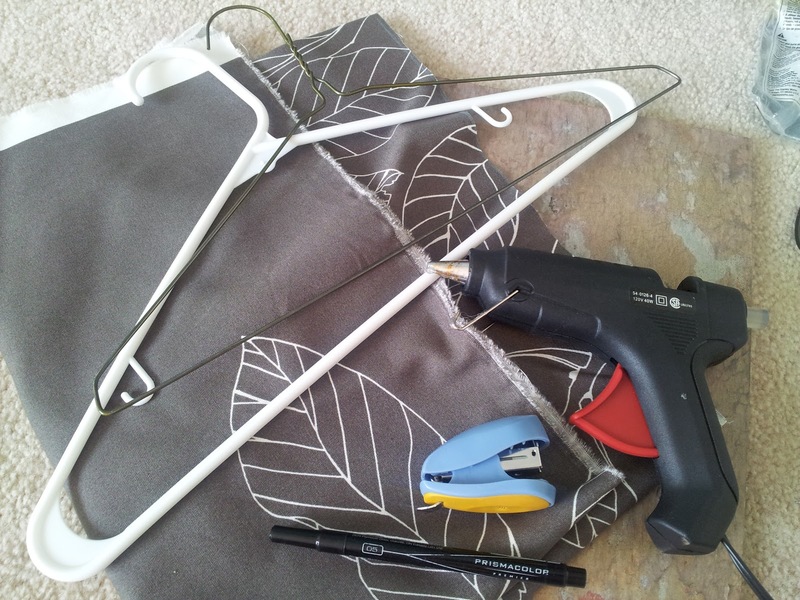 Now it's time to utilize your stapler to bond the two pieces together in the shoulder part of your hanger. 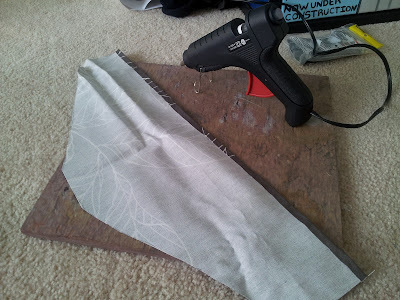 Do this about half a centemeter from the edge. It would be best to stretch the material so that there is tension as you staple, if not the staple will not go through. 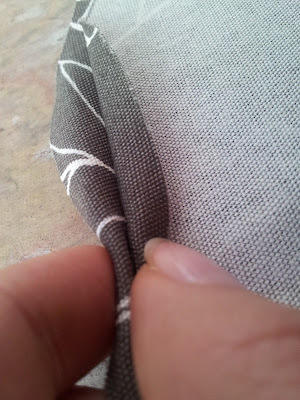 When you get to the﻿ top where we drew a straight line for the hook, hold over both sides as shown in the picture and staple both ends leaving the middle open. 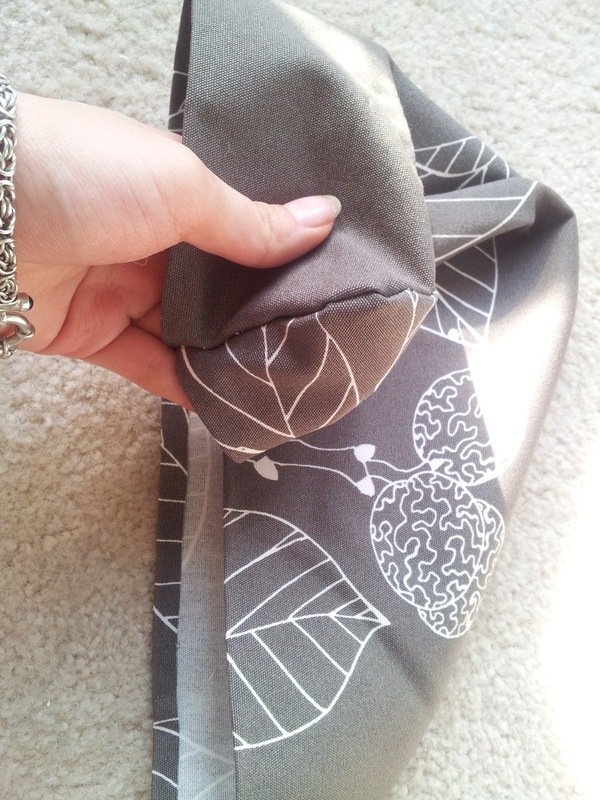 It's now time to flip the slip inside out. 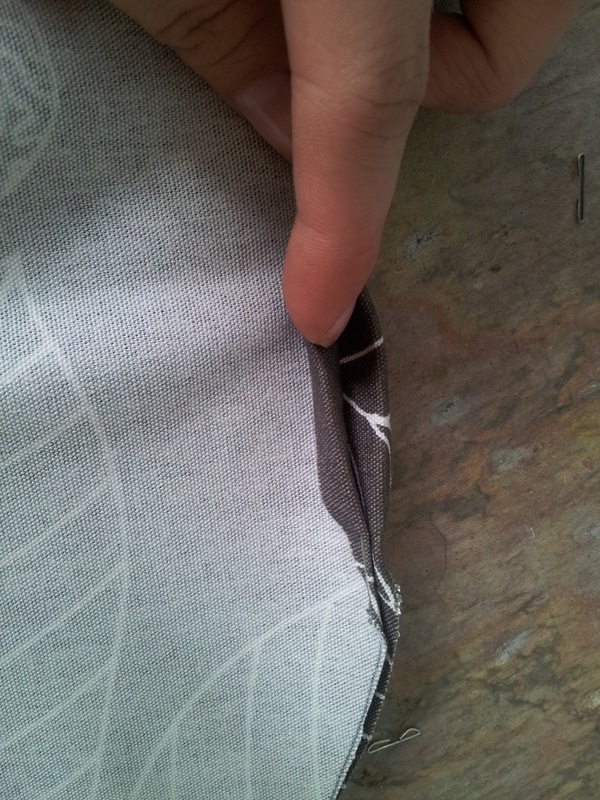 You can now see how the staples created an invisible stitch. 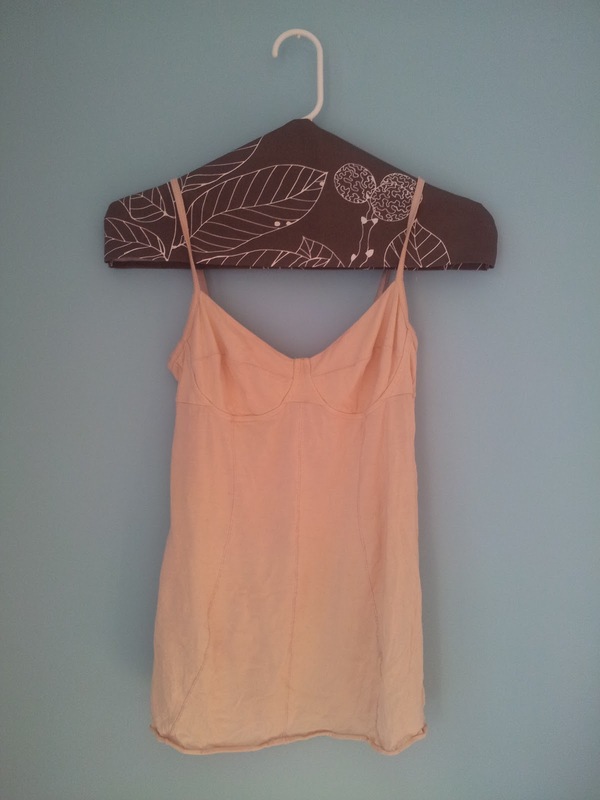 ﻿All there is to do now is slip it on top of a hanger. Here is the finished look.